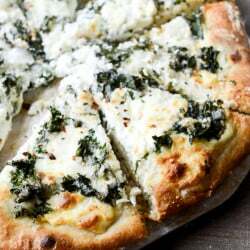 Marinated Kale and Whipped Ricotta Pizza. So sweet, I had to look at my old pictures to remember what it was like with my new cherubs. Sleep and eat and eat and eat ………and that was me. Love this! This was so fun. Your life is so charmed. :) 8am: THAT BELLY!!! Omg, adorable chubbiness!!! Little man is so cute! 3pm: The Day Designer!! I adore mine – thank you so much for recommending it! What a cute little guy!! How do you like those gowns? I am due in early May and was thinking of getting some for easy diaper changes / lounging around the house – would you recommend them? OMG… LOVE them. someone recommended them to me before he was born – said they were easy for changing and great for the period while their belly button is healing. they are so cuddly and cute. i only found 2 before he was born, but all of my family knows how much i love them so they’ve found a bunch and now i have a good collection! they are definitely something i’d recommend. i’m going to do a baby favorites post soon! FYI, these are usually really easy to find in thrift stores in new/almost new condition. Some parents don’t like them as much and donate them after receiving them as gifts. You can find TONS of almost new baby clothes at thrift stores, but these in particular seem to always be available. Such a cute idea!! I love it — and Max is growing so quickly — enjoy mama, you’re doing a great job!! This was beyond adorable. I am tickled pink. The images of your boy sleeping really convey how sweet he is. Lovely! Oh my goodness that belly button! Love! So Cute! Also, how much do you love Lush’s Let the Good Times Roll. Hands down one of my top 10 beauty products. I haven’t tried the Big shampoo. I use one of the bars. Thoughts on it? gahhhh it smells like heaven. adore it. the big shampoo is awesome. i only use it once a week since it can be drying, but it gives me hair tons of volume! this is my 4th or 5th container. i wish they made an even bigger tub. Sweet baby pictures and of course the awesomeness of Lush and Frozen. So much cute!! But HELP. I just got that BIG shampoo (I do all cruelty-free products and shampoo is SO HARD), and my hair gets so tangly from it. Have you found a magic way around this? Please say yes. Ow! hmmm i always still use a conditioner after it – i use the macadamia deep repair masque as my conditioner since my hair it thicker and can be dry. it may defeat the purpose of BIG but i still really love it and don’t notice any less volume! GAH. 10pm! SO SWEET. And that buddha belly at 8am….DEAD. it is the fisher price rock and play. it’s awesome! very affordable and he loves it. he naps in there most of the day. for night time sleep we use the halo bassinest, but i know that many people use the rock and play for night time sleep too! I love the idea of capturing a whole day in photographs. This is something I definitely want to try for myself. Love this glimpse into your daily life. Thanks for sharing! Love, love, love. That bellllly at 8am. Gaaaaah. A perfect little day. And what a handsome little boy! i was finally able to order a Day Designer. it is super fangirl weird to be excited i have the same one as you? how do you like the lavanila deodorant? do you feel like it works well? i’m always on the fence about it. i’ve used it for a few years and always have a bottle at home, but if i’m working out or going out or doing something where i don’t want to be sweating, i’ll still use a regular deodorant (usually dove). it definitely doesn’t work as well as the others, but if i’m just hanging at home/running a few errands i’ll use it! thank you! i tried it in the summer and it wasn’t strong enough…i need to give it another shot now. Max is such a cute little nugget!! I don’t think I would ever put him down! 10 pm, DEAD from the cuteness. That lentil soup is fabulous, made it a couple of times! How do you like that planner? I’ve checked it out a few times because I need a new planner but now sure if it’s worth it. absolutely adore it – it’s my second year using it and i can’t imagine using another planner! This was so fun! He’s such a cutie! Mind me asking where you got the robe in the last pic? It looks perfect for lounging around in! What a fun idea! Really liked the post! I like this! I’m new to your blog so I haven’t seen one of these posts before. I love that you were watching Frozen. Good movie, and a good way to finish off the day. So much adorableness! I have to know where you got your slippers!! I love them!! Oh, wish I lived close, id be begging to babysit!! That tummy, those fat little feet!! Babies, IMHO, aren’t healthy if they haven’t got chubby feet, leg rolls, bellies, chunks!! 8 pm, dollbaby looks as if someone is telling him an incredible story.. He is TOO perfect! Congrats again, mama and daddy, he’s precious, plump, and absolutely perfect! LOVE!! The baby pics are beyond…oh how I miss those days! …. And, now, after reading all the comments, I’m going to have to try the Lush shampoo! Sign me up for volume hair any day! Sorry if I missed this – but can you pelase tell me where your colorful slippers aer from?! they were gifted to me – but i think they were from walmart or target! a few months ago. Love posts like this! Thank you for sharing! PS are you back to working out like normal? I just ask because of that 11am photo.. and I’m not sure how long doctors recommend to take it easy after giving birth. Just curious! not yet! i think you’re supposed to wait until you’re 6 week appt (I’m 5 weeks today) – but i have done some walking videos on demand (they are hilarious) since it’s too cold to walk outside, some yoga and stuff like that! nothing strenuous or anything. i’m assuming if all is well, next week i can resume vigorous workouts. LOVE this post, like the diary of a new mom! Love this. That 10pm pic is seriously adorable. Wow!! Real. Life. baby! Love it, you’re an inspiration! Love your nursing photo! I wish I’d taken more of those with my two nurslings. These posts are great. Thank you for sharing! WAH! I can’t believe baby life was 6 years ago for me. I miss my lithe guys! Also, OLAF!!! !